Very healthy and tasty Upuma done with Oats flakes is here to be tried at home for breakfast or dinner.Mixed grated vegetables can be added in step3 before adding the Oats and cook for 3 mins adding 50ml water. After this,the oats flakes can be added. Wash 3 cups of Oats flakes twice or thrice and drain the water.Press with our hands so that the remaining water will be drained well.Now the Oats is ready to be cooked. Heat oil in a kadai,add 1/2 tsp mustard seeds. When they splutter, add 1 cup chopped onions,whole red chillies,1 tbsp split gram dal and curry leaves and saute this for 2 mins. Add the drained oats flakes to the kadai.Sprinkle 100ml water and 1 tsp salt and mix well.Stir for 3 mins. Sprinkle 100ml water again and stir it for 4 more mins-till little dry. Add the gated coconut and mix well and cook for 3-4 minutes on a very slow fire till it is well blended. Serve it hot for breakfast or dinner(with grated coconut and sugar). Dear Christy , This is one of my favourite breakfast recipe . Thank U . Oats are considered a superfood as they contain a wide array of Vitamins , Minerals and Antioxidants . They are rich source of Protein , Complex carbohydrate , Iron and Dietary fiber . Eating a daily serving of oats not only lowers total cholesterol level but also reduce the risk of developing Heart disease . Helps lowering high Blood pressure , Lowers blood sugar level nd reduce the risk of developing Type II Diabetes . Boosts Immune System . Relieve Constipation , Aids in weight loss and reduce the risk of certain cancer . 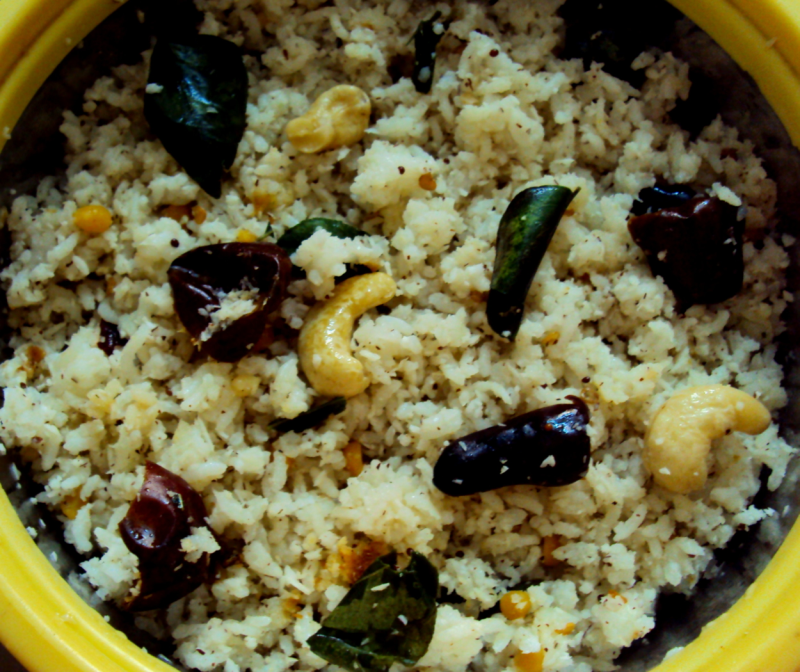 this is one recipe i wanted from a long...thankx for such a healthy recipie. Excellent for diets and good 4 health ,well done. U can use 2 tsp refined oil + 1 tsp ghee instead of 1 tbsp refined oil.Add few ghee-roasted cashewnuts after finishing the Upuma. Add water as per need after adding the drained oats flakes.